I've counted at least 90 switchbacks visible (though I get a different number every time I count) when viewed at full resolution or in a large print. 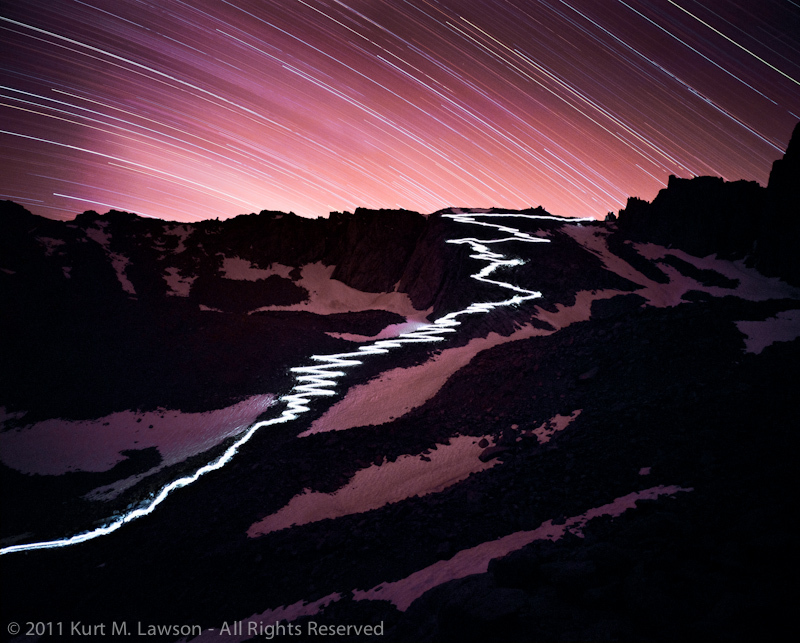 Some of the switchbacks are so close together that the light trail just sort-of blended. I think you get the idea though A different sort of view for a place that any main trail hiker knows very well. Wow! Most excellent work! That is a fabulous photo, and I think an amazing photographic accomplishment. Wow! That is an incredible shot. Thanks for the correction Wayne. Even if it's only 13,600 ft. It feels at least like 13,777 when I was up there! haha. A have not expected to see so much snow on August 21st. Was there a fresh snowfall or just slow melting of the winter snow? Was it a result of the August 18th thunderstorm? Have you carried "a lantern" yourself? What kind of "lantern" exactly? From what location was this picture taken? Was it just a few hundred feet above the Trail Camp? 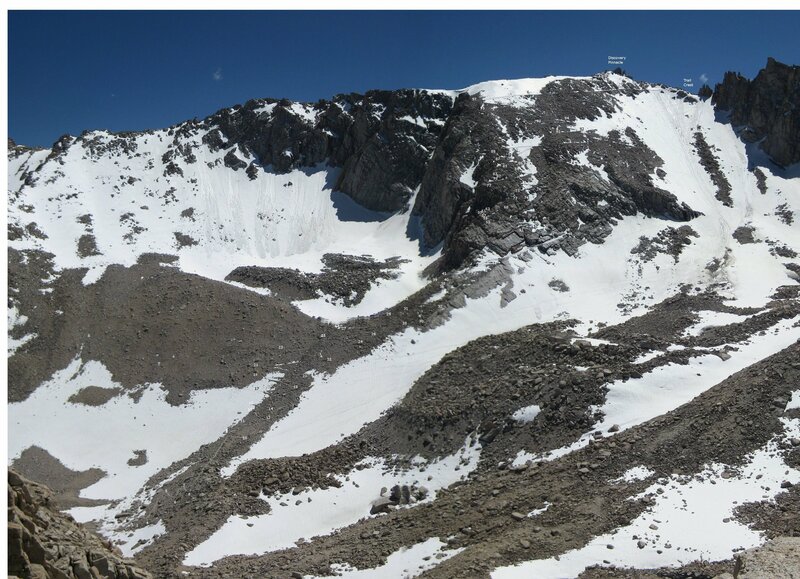 Based on Kurt's comment that he took the photo at 12,265 feet, and some back-calculations of my own, Kurt stationed his camera on the southwest side of Wotans Throne above Trail Camp. I calculate the camera's exact position at 36.56488 degrees north latitude and 118.28060 degrees west longitude (WGS84 datum). It would be nice if Kurt could give us some more clarification. I really like what he did! That is an amazing picture Kurt. Thanks for posting it here! I've posted a link to it in our "Links to important Whitney information"
Your other pictures on Flickr are truly spectacular, too. I have got to say that is one of the coolest things I've ever seen!! Thanks for sharing!!!! They look so flat from that perspective . . . Thanks for the comments everyone! I will hopefully later today have my writeup about how this photo came to be online. That should answer a lot of people's questions. Epic photo and story, both. So much research and planning into one shot. I love it. Great work!! In another thread, Wayne referred to Bob R's stitched picture of all the switchbacks. Bob took the pictures from near the top of Wotans Throne. The picture, with Wayne's switchback numbers added, is here . Kurt, I read most of your blog about how you prepared and executed your trip. The picture is the product of an amazing amount of time and effort. Thank you SO MUCH for making it available. From Kurt's blog article, here's the picture of the gear he carried on the Whitney trail. 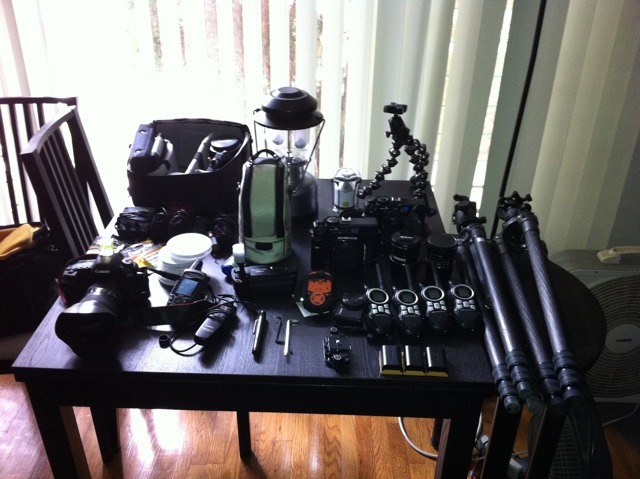 It does not include all the other gear he experimented with on other trips to figure out which camera and equipment would work. He even had to take lens warmers to keep the camera from fogging over in the cold! Actually due to my getting sick, a good chunk of gear was scrapped at the last second. Only the right hand tripod went. The Canon 5D2 and its assorted gear (batteries, grip, intervalometer, filters, etc) was also left behind. Everything else went up. One walkie talkie was left behind also. Kurt, is that LED lantern brighter than the bright propane lanterns or the Coleman fuel ones? I thought those were the brightest. Did you set up a mirror on one side to brighten the output toward the camera? Coleman fuel ones are way brighter than the LED one. No mirror was used. After discussion, we didn't fancy the idea of using a gas lantern up there and decided to go with electricity instead. This is an awesome photo! Thanks for posting!! 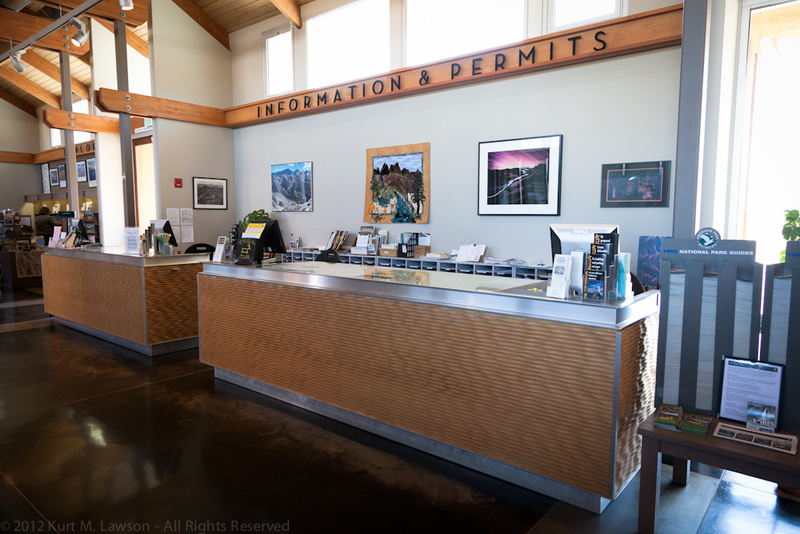 I still haven't finalized selling prints directly, but in the few free moments I've managed to get one print framed up and I have loaned it to the Eastern Sierra Interagency Visitor Center in Lone Pine. So, as everyone picks up permits this year I hope you'll take a moment to check out the pic. I'm sorry I haven't been able to get back about prints just yet. I want the prints to be the same quality as this one was, which is a Fujiflex Crystal Archive print that should easily outlast me and will present the image at its very best. Working 10-12 hours a day 6 days a week hasn't left me with a whole lot of time. Photography isn't how I make my living. I'll post more updates soon but in the meantime there's at least one print you can check out! I hope you are able to work something out. You have at least one customer ready to buy. Generated in 0.166 seconds in which 0.149 seconds were spent on a total of 15 queries. Zlib compression disabled.